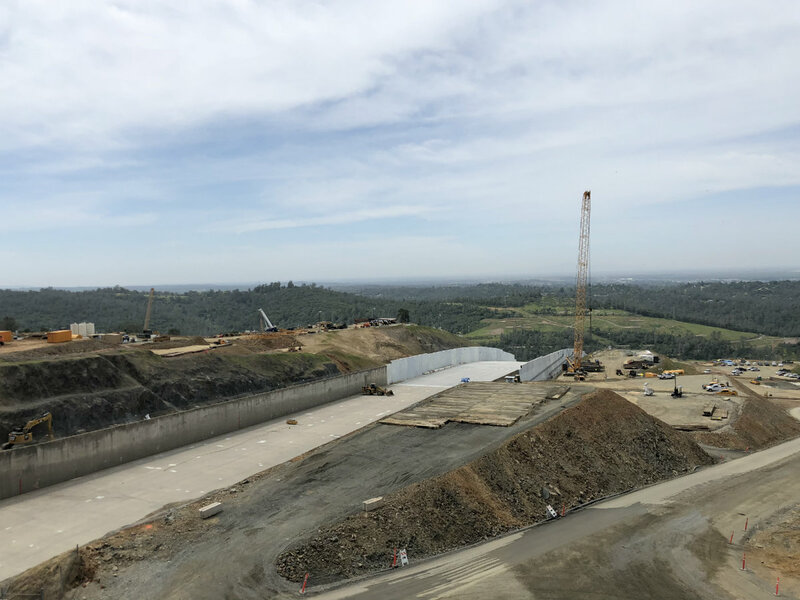 Construction on the upper level of the Lake Oroville Spillway has progressed, while work continues on the middle and lower sections of the spillway. The California Department of Water Resources says it has completed the demolition of the top 730 feet of the spillway and is preparing to pour concrete slabs and walls. Drains and anchors are being installed on the middle section. More concrete will be poured when that work is done. At the bottom, the large blocks — called "energy dissipators" — will receive new concrete and steel dowels. DWR says work on the splash pad below the emergency spillway is 80 percent complete in the northern section and 40 percent complete in the southern section. Weak spots in the middle section of the old spillway allowed water underneath the concrete and caused a gaping hole in the spillway in February of 2017. Significant erosion at the base of the emergency spillway then caused the evacuation of nearly 200 thousand people. Crews spent the past year rebuilding the bottom two sections of the main spillway.